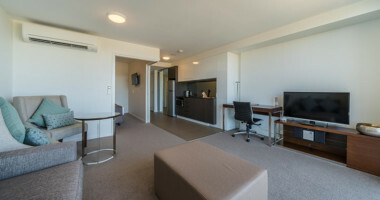 Modern Luxury in a River View King Apartment at Empire Apartment Hotel Rockhampton. Our spacious One Bedroom fully self-contained apartments feature stunning views of the Fitzroy River and Berserker Ranges. 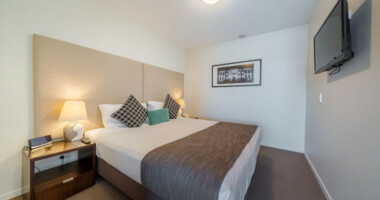 The River View King Apartments at Empire Apartment Hotel Rockhampton are also available as a Twin Room (King bed split into two) upon request. 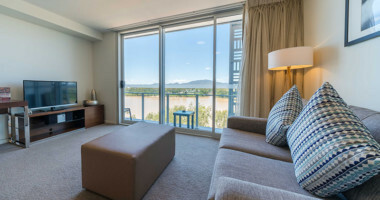 River View King Apartments at Empire Apartment Hotel Rockhampton have a maximum occupancy of 2 people.